Yvonne Mitchell (7 July 1915 – 24 March 1979) was an English stage, television and film actress. After beginning her acting career in theatre, Mitchell progressed to films in the late 1940s. Her roles include Julia in the 1954 BBC adaptation of George Orwell's novel Nineteen Eighty-Four. She retired from acting in 1977. Mitchell was born Yvonne Frances Joseph, but in 1946 changed her name by deed poll to Yvonne Mitchell (without the Frances). Her parents were Madge (Mitchell) and Bertie Joseph. She was Jewish. Mitchell was married to the journalist, film and theatre critic and novelist Derek Monsey (1921–1979) and they lived in a village in the south of France. Mitchell died of cancer, aged 63, in 1979. Monsey died the same year, roughly one month earlier. Their daughter Cordelia Monsey is a theatre director and a long-term associate of both Sir Peter Hall and Sir Trevor Nunn. Yvonne Mitchell's grandson is the drummer and violinist, Mitch McGugan. Outside acting, Mitchell was also an established author, writing several books for children and adults as well as winning awards for playwriting. Her plays include The Same Sky. She wrote an acclaimed biography of the French writer Colette, and her own autobiography was published in 1957. Already an experienced stage actress, she made her speaking debut in film in The Queen of Spades (1949), although she had played an uncredited minor role in Love on the Dole eight years earlier. 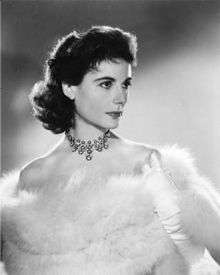 She appeared in several prominent film roles over the following three decades, winning a British Film Award for The Divided Heart (1954) and the Silver Bear for Best Actress at the 7th Berlin International Film Festival for Woman in a Dressing Gown (1957). She appeared in the role of Mildred in the controversial film Sapphire (1959). On television, Mitchell was voted Television Actress of the Year for 1953 by the Daily Mail newspaper, mainly for her role as Cathy in the Nigel Kneale/Rudolph Cartier adaptation of Emily Brontë's novel Wuthering Heights. The following year, she appeared in another Kneale / Cartier literary adaptation when she took the role of Julia with Peter Cushing as Winston Smith in their adaptation of Nineteen Eighty-Four. She starred as Lea in the BBC's 1973 TV production of Colette's Cheri. She continued to act occasionally on television until the late 1970s, appearing in guest roles in series such as Out of the Unknown (in 1966); her final screen role was in the BBC science-fiction series 1990 (1977). ↑ Reference books give her year of birth as 1925. However, her name appears in the birth indexes for England and Wales for the July–September quarter of 1915. ↑ London Gazette, 8 October 1946, p. 5007. ↑ "Index entry". FreeBMD. ONS. Retrieved 1 January 2011. ↑ "Who's who in the Theatre". Books.google.ca. 2010-11-20. Retrieved 2016-03-29. ↑ "א י ב ו ן בז י ט 111 ל - דבר, 28/09/1951". Jpress.nli.org.il. 1951-09-28. Retrieved 2016-03-29. ↑ "Berlinale 1957: Prize Winners". berlinale.de. Retrieved 31 December 2009.